When you think of a full-size sedan you don’t typically think of sporty power and a fun driving experience on the road. That is, until you see the Dodge Charger. This is a car that brings you the driving characteristics you want for the ride you need to make on a daily basis. If you’re looking for a vehicle that can give you the excitement you want while also offering you the quality drive and safety you need, it’s time to take a look at the pricing offered for this car that you want to drive on the roads in Lauderhill, FL. The Dodge Charger is a large sedan that’s comfortable and the right size for your entire family. This car brings you a youthful exuberance that harkens back to its roots while ensuring you have the modern safety equipment you want for the drive. 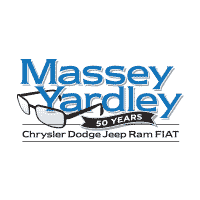 Come in and see the team at Massey Yardley Chrysler Dodge Jeep Ram Fiat in Plantation, FL where you can find the pricing you’re looking for when you’re ready to have the drive that’s right for you in Lauderhill. FL. One of the most important aspects of what the Dodge Charger has to offer for 2018 is the new GT trim. This trim brings in a 300 horsepower V6 engine and AWD to make sure you have the performance qualities you’re looking for. The SXT Plus trim also comes equipped with performance looks and new standard equipment including Apple CarPlay, Android Auto, a rearview camera, and parking sensors. Take a look at the pricing offered for this impressive sedan and let it become the right one for you to have the drive you’re looking for when you head out on the roads in Lauderhill, FL. If you’re looking for the most power out of this sedan and you want to have an incredible sound from the audio system, you need to take a look at the Hellcat trim and the new Beats Audio system. The Hellcat used a 707 horsepower engine that’s a 6.2-liter supercharged Hemi V8 engine while the sound system gives you a ten-speaker 552 watt system to allow you to have the quality sound clarity for the ride. Take a look at the Dodge Charger pricing that will make this the car that you’ll enjoy driving out on the roads in Lauderhill, FL.